If I ask you how much water you should be drinking, I’m betting that most of you will be able to quote “8 glasses a day”! That’s roughly around 2 litres a day and for the sake of clarifying, that’s water not wine…. or beer…. or cocktails! We know that staying hydrated is important but understanding the impact of dehydration may help to emphasise why this is so crucial. Losing just 2-4% of body water can reduce your body’s ability to perform at a normal level. It is essential that your body maintains adequate levels. Essentially, with less blood volume, your body has work harder to keep up with its needs and your heart has to beat faster. Let’s first establish how much water we actually need? 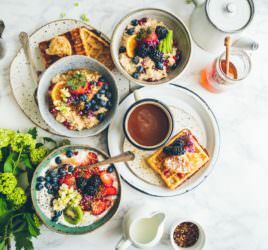 As with much health advice, your needs will depend on a number of different influencing factors; age, gender and weight for a start but then also lifestyle factors will play a part, for example, the climate you live in, your activity levels and your general overall health. After all, sweat is made up almost entirely of water, so it makes sense that if you’re in very hot or humid weather or you’re exercising intensely, you’ll be sweating more and therefore you’ll need to drink more. If you’re under the weather and have a fever or you’ve caught a bug and you’re vomiting or have diarrhoea, again, your body will be losing fluids more quickly. Don’t forget that whilst staying hydrated might not be an immediate consideration during the winter months, spending so much time indoors with central heating can easily leave you dehydrated. How do you know if you’re hydrated enough? Here’s how you can help? Your body continually aims for hydration homeostasis, in other words maintaining optimal water levels and what is important is that you help your body to achieve this taking into consideration all factors that may influence your fluid intake or evaporation. Problem is if you don’t like water (as I don’t) and rarely relish a glass of water, you nevertheless, I need to stay hydrated. The good news is, there are lots of other ways to boost your hydration without counting glasses. The good news is that tea and coffee count! So, aside from drinking water, the good news is that tea and coffee count! Whilst they do have a mild diuretic effect, if they’re not your only source of fluids during the day, you’ll be able to remain sufficiently hydrated. 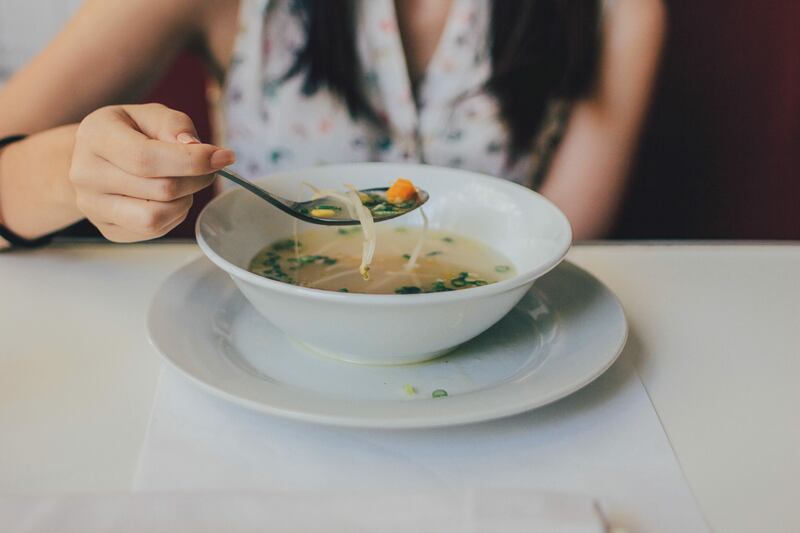 As a liquid meal, broth-based soups, like minestrone or a clear miso soup are an immediate nutritious hydration boost, so include them as often as you can. Perhaps include a small bowl as a starter for a nutrition boost as well. They’re also great to curb cravings if you’re struggling to get to the next meal without eating. How about switching your heavy carbs like pasta and rice to brown rice, oats and chia. These all absorb water during cooking and will help to boost your hydration. You could also try “courgetti” (courgette ribbons). 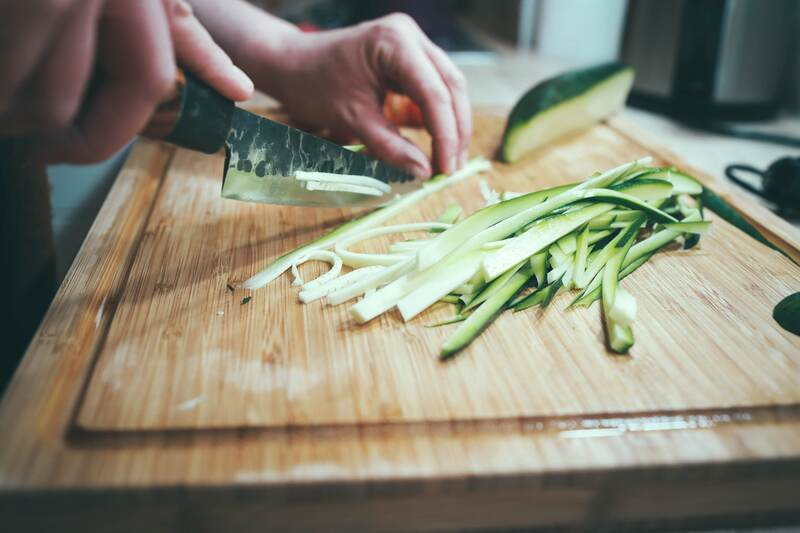 Courgettes have particularly high water content and they can be eaten very lightly steamed so you retain that water. Any water that is removed however can be used as part of a sauce on top; a tomato sauce for example. Whilst my preference is always to eat real food, there are times when a smoothie is a quick and nutritious choice, particularly first thing in the morning if you’re pressed for time. 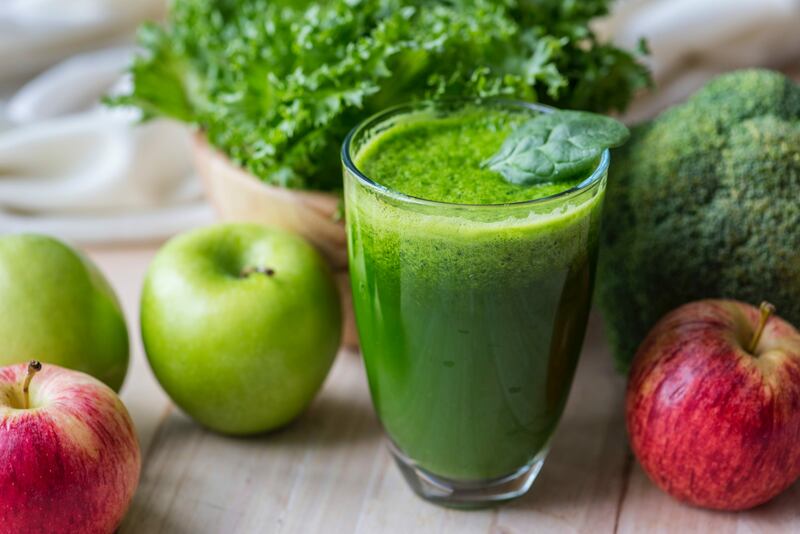 Be sure to include plenty of high water vegetables and fruits such as spinach, cucumber, celery, apple, watermelon, citrus fruits and berries. 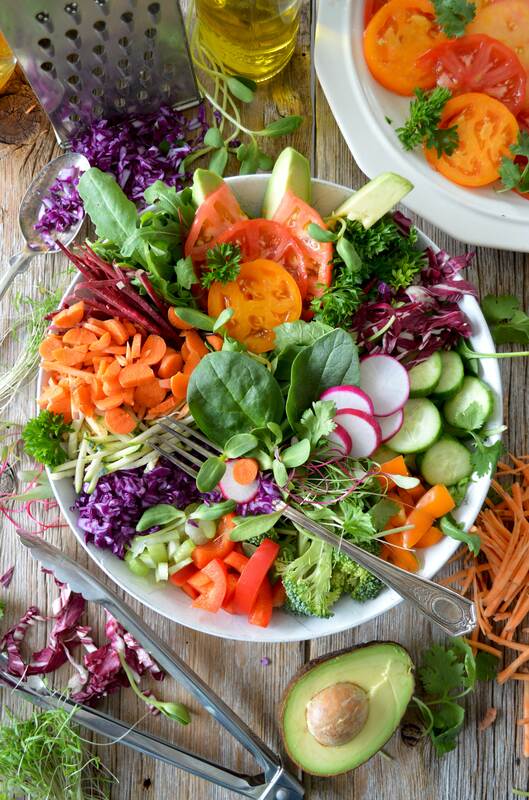 Aim for a ration of 3 vegetables:1 fruit to keep your sugar content low and consider watering them down. Some drinks have become popular as a way of staying hydrated due to their electrolytes such as potassium and sodium, essential for normal muscle and nerve action. However, the body is very sensitive to any imbalances of these and an unnatural imbalance can have serious health consequences. It is important to choose a drink that is as natural as possible. Sports drinks whilst containing some electrolytes that will hydrate are usually also high in sugar and colourings/preservatives. Good quality coconut waters can be a more natural alternative; they have very high water content and are also rich in electrolytes and offer a more interesting thirst quencher rather than water. These are my staple hydration boost! Green tea and naturally caffeine free alternatives such as peppermint, chamomile or even fresh ginger or fresh mint; they’re all perfect ways of ensuring you stay hydrated. Keep a herbal tea on the go all day whether it’s freshly made or your simply top it up with boiling water. 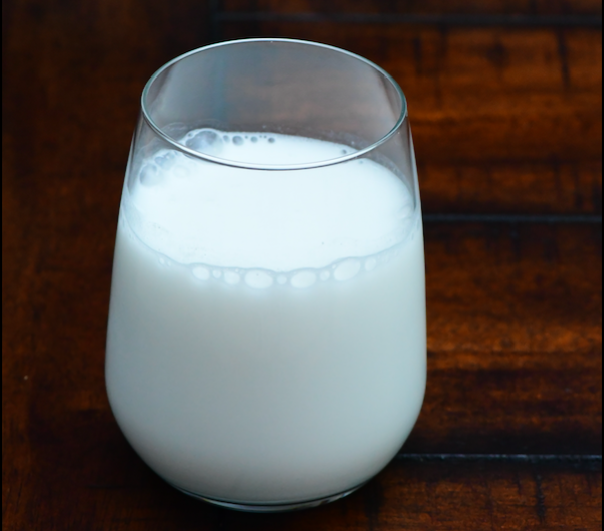 Milk contains water as well as protein and carbohydrates and therefore stays in the body for long as it needs to pass through the digestive system. Whether it’s a refreshing cold glass or a warming hot chocolate, it’s certainly one to consider. Whatever measures you take to ensure you’re always hydrated, it’s a good idea get into good habits so the suggestions above become part of your DAILY diet and lifestyle choices. So, as long as you’re eating plenty of high water content foods and drinking fluids when you feel thirsty, staying hydrated is easy!